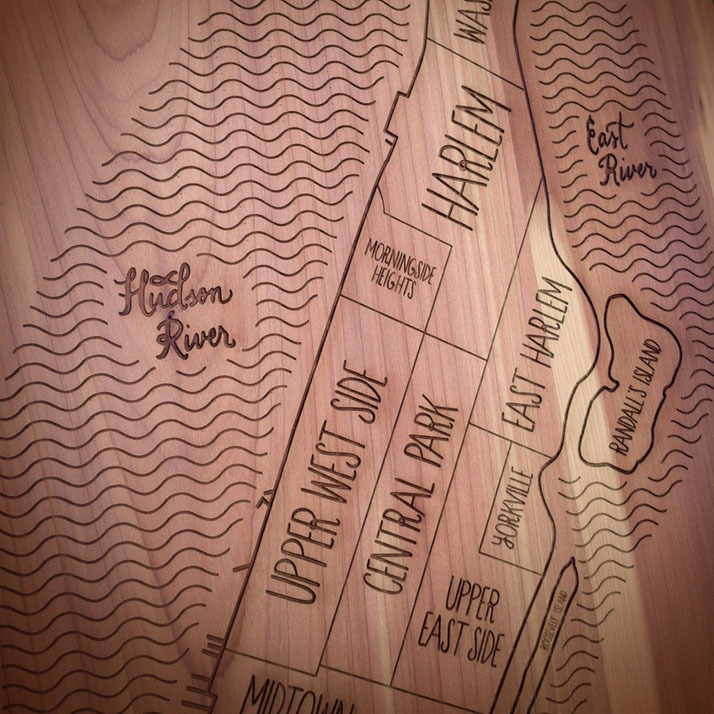 Beautiful project by Hyperakt and Aymie Spitzer. 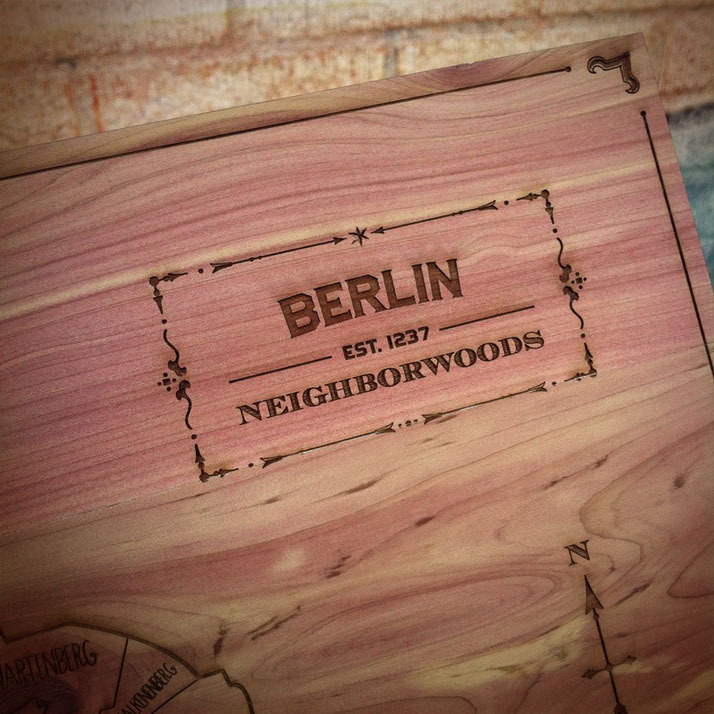 Aymie Spitzer says: "Neighborwoods are created out of my love for vintage maps. 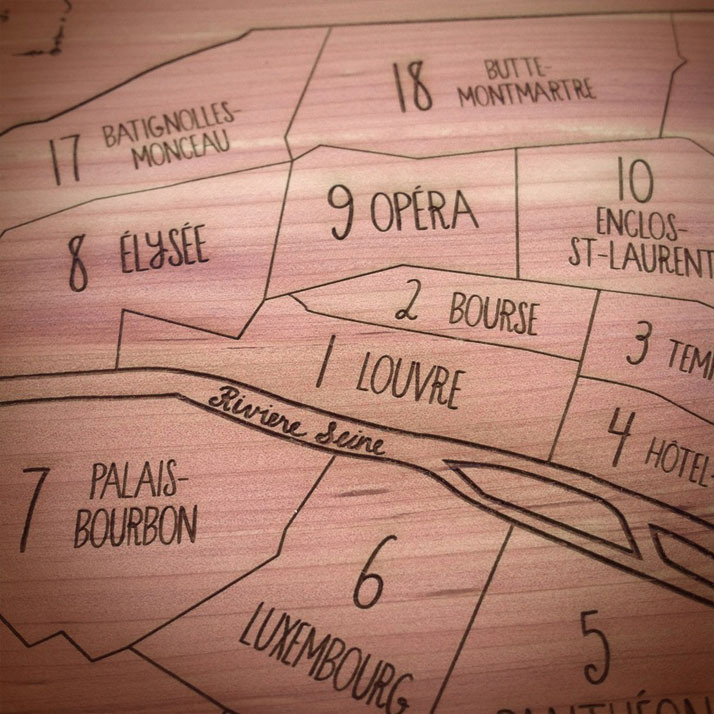 There is something magical about hand-drawn and hand-lettered maps. 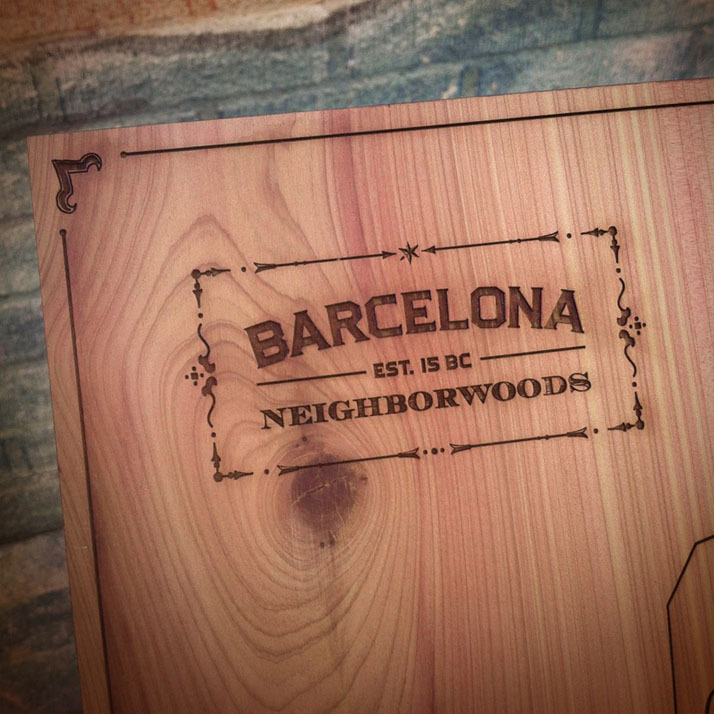 I've attempted to capture that magic with Neighborwoods. 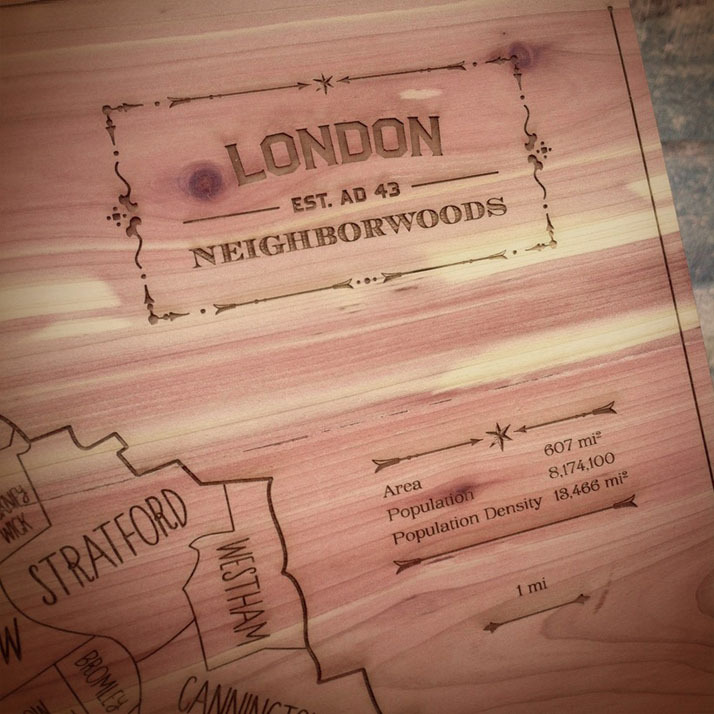 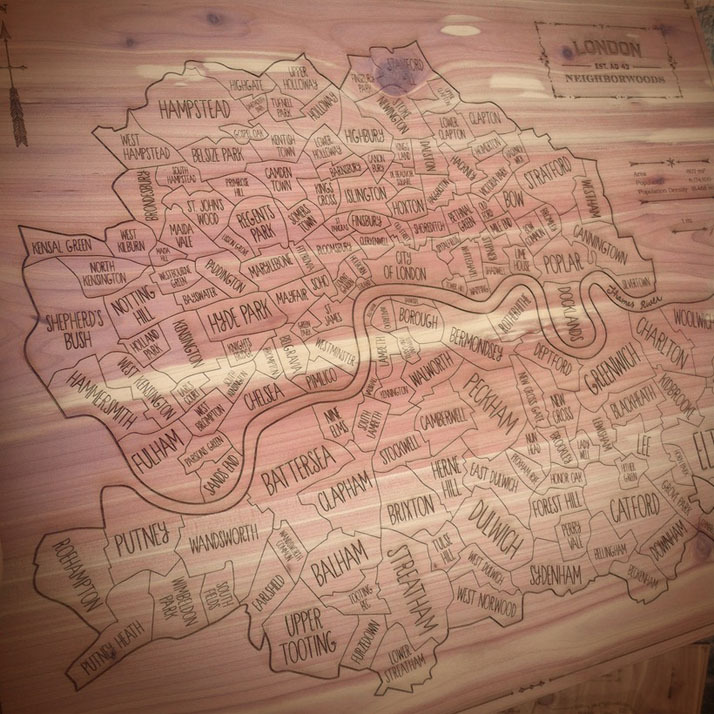 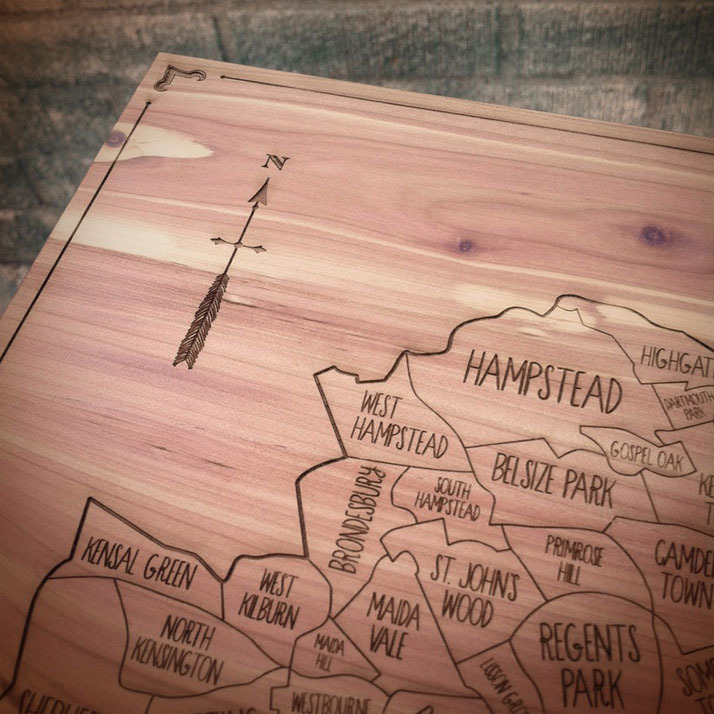 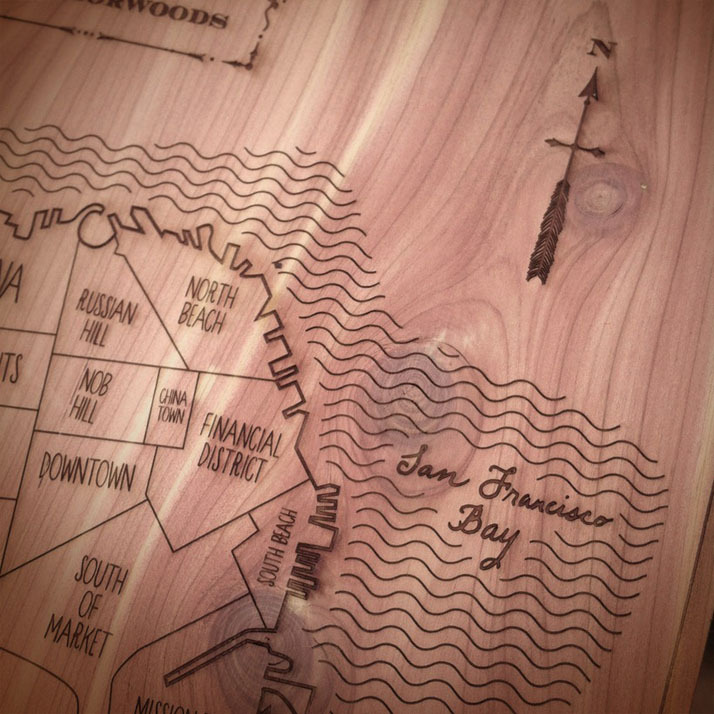 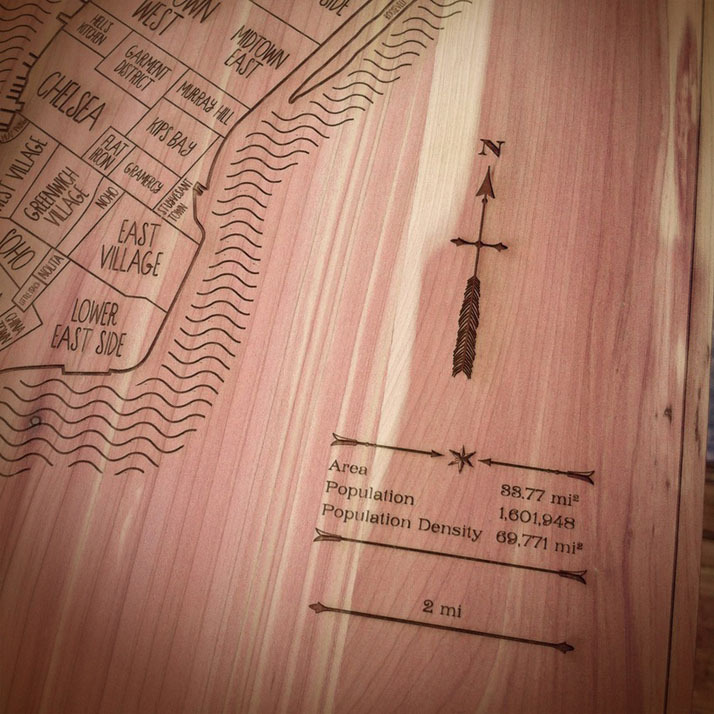 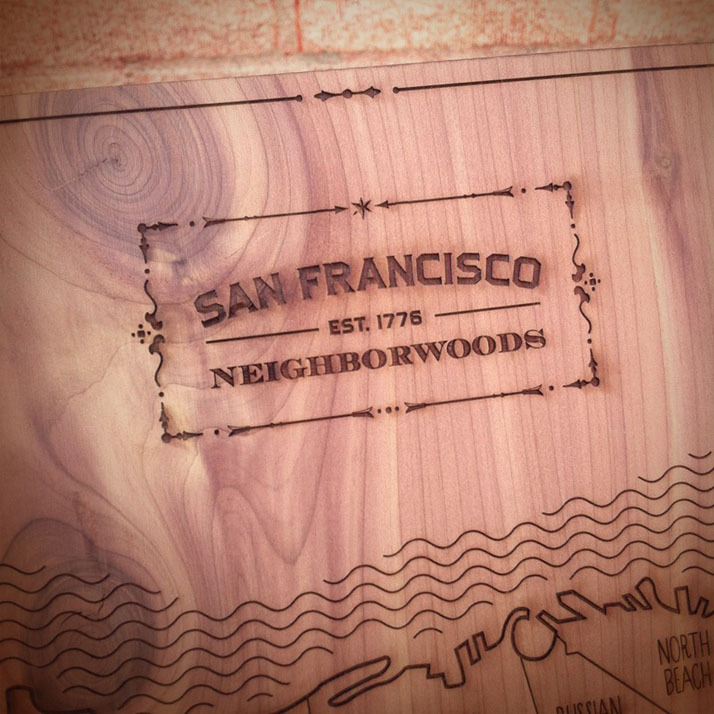 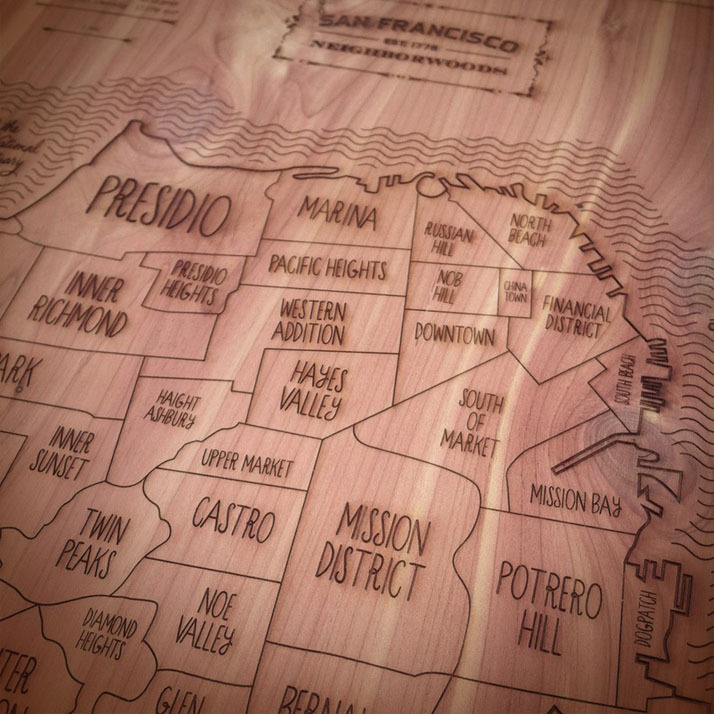 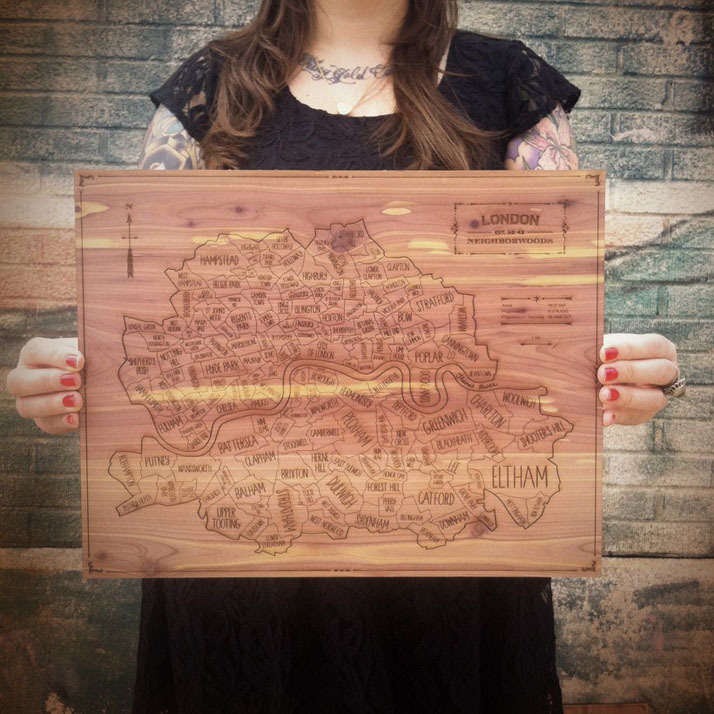 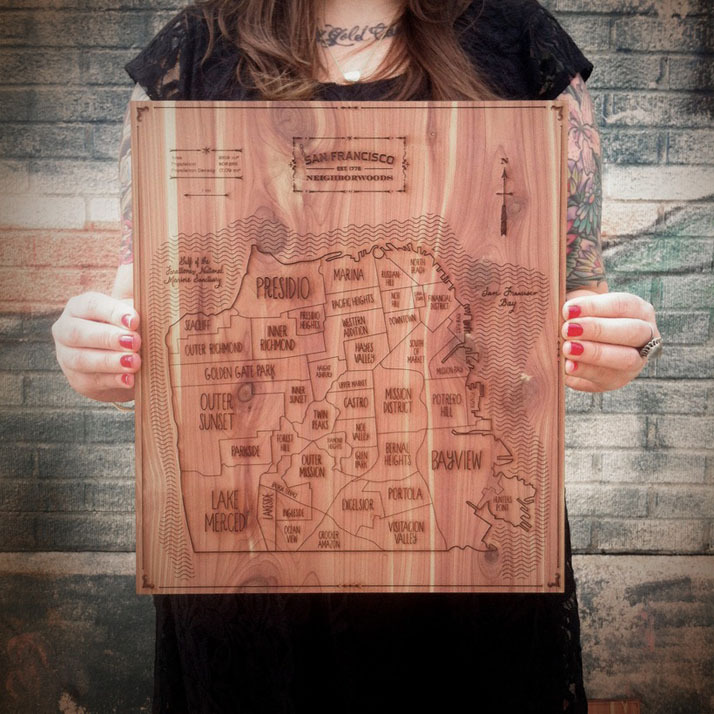 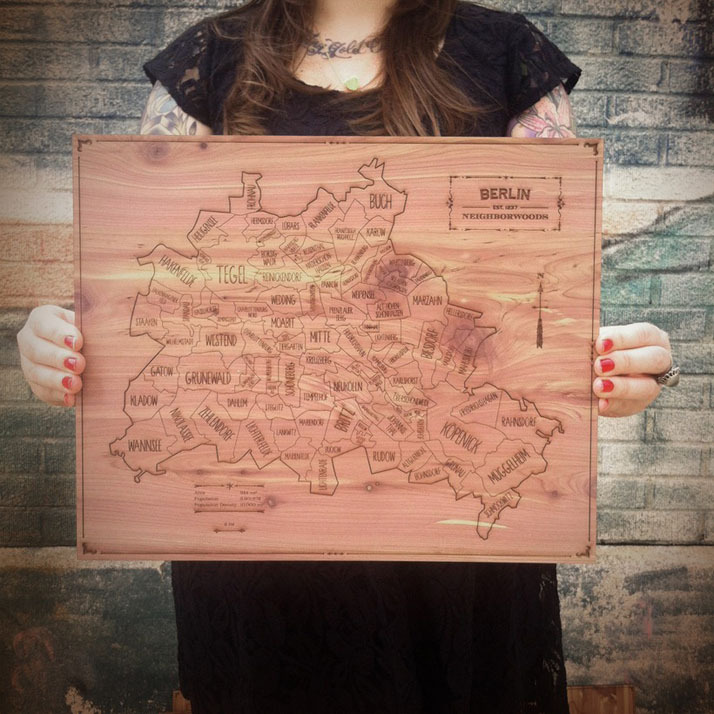 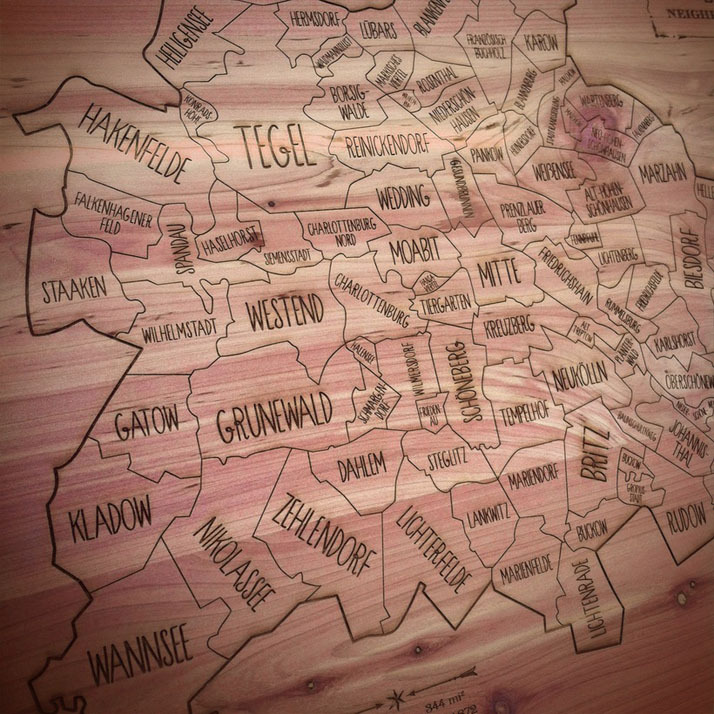 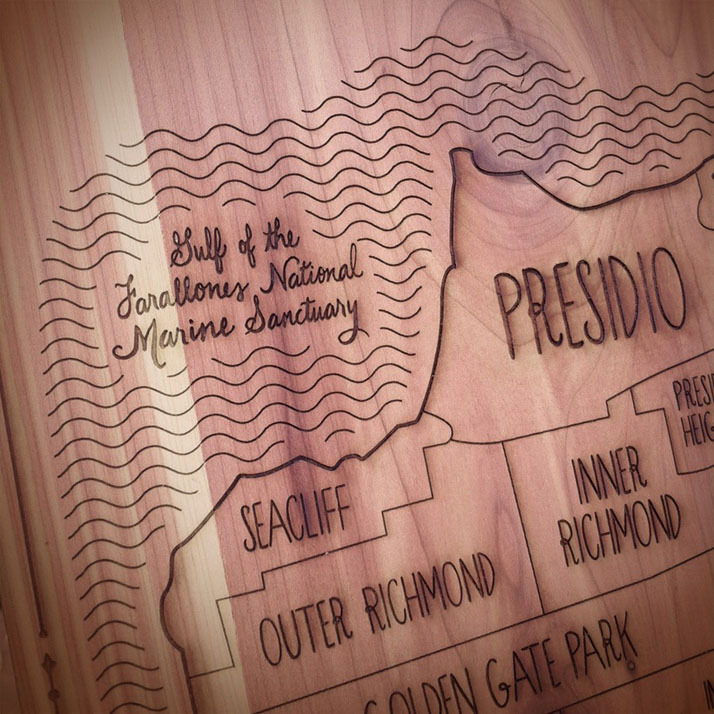 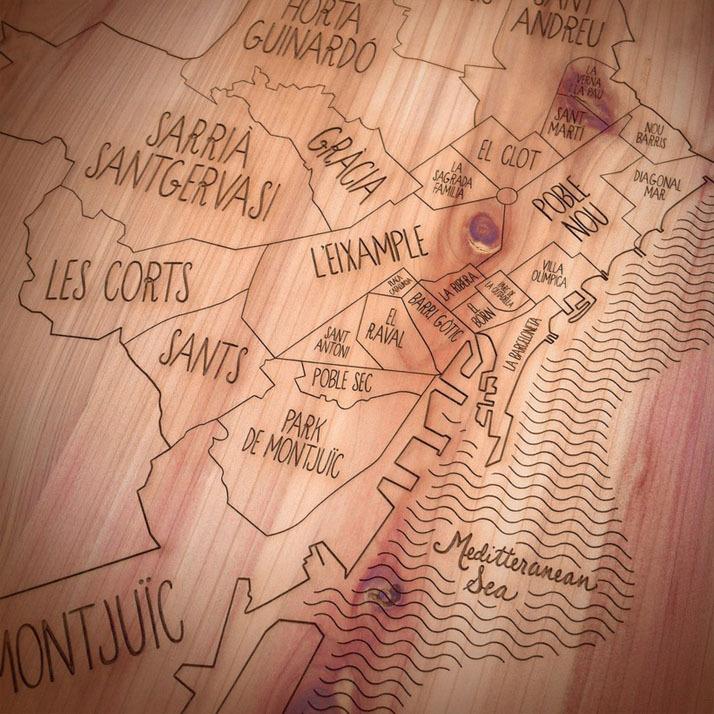 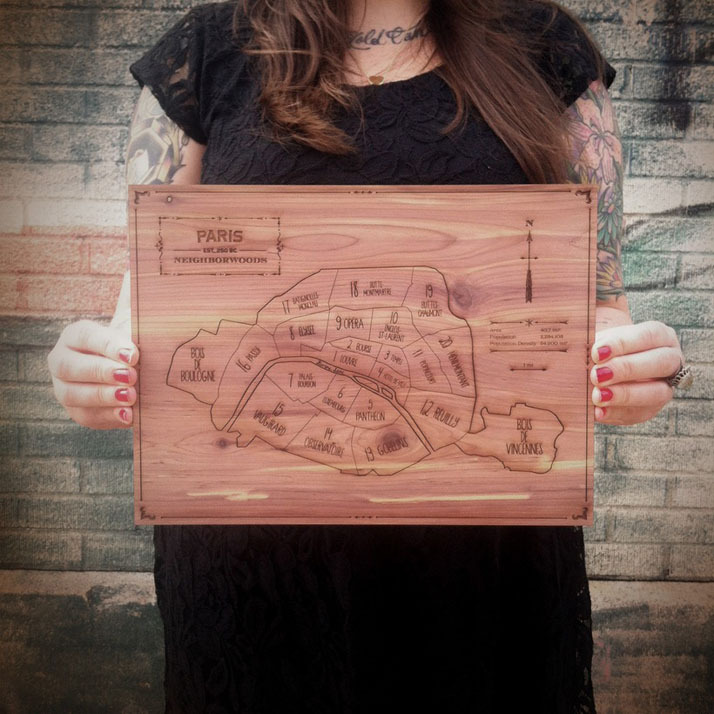 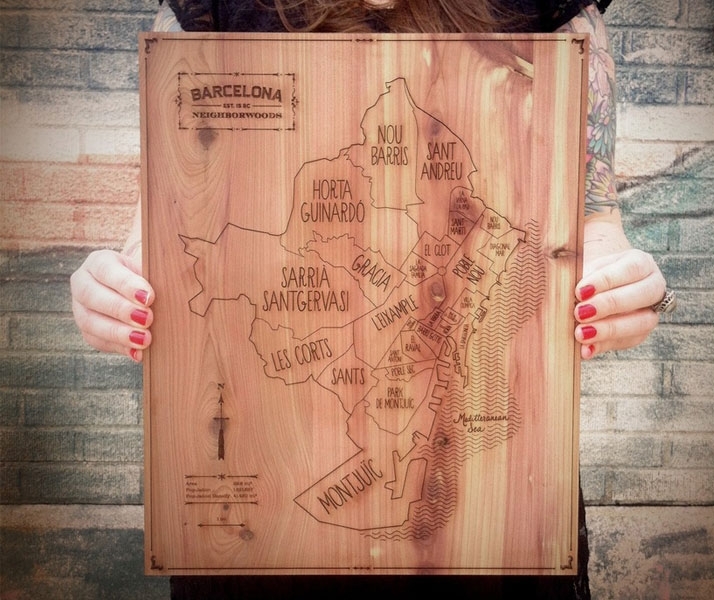 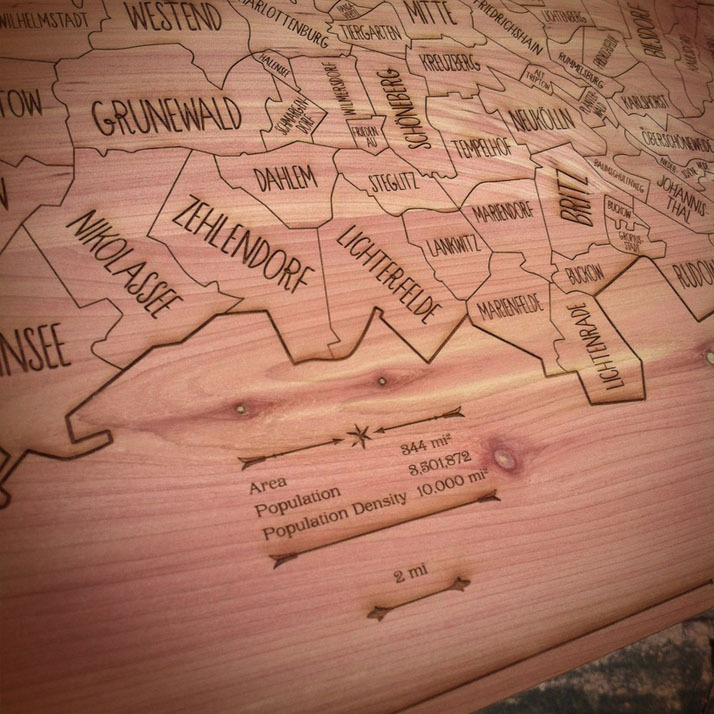 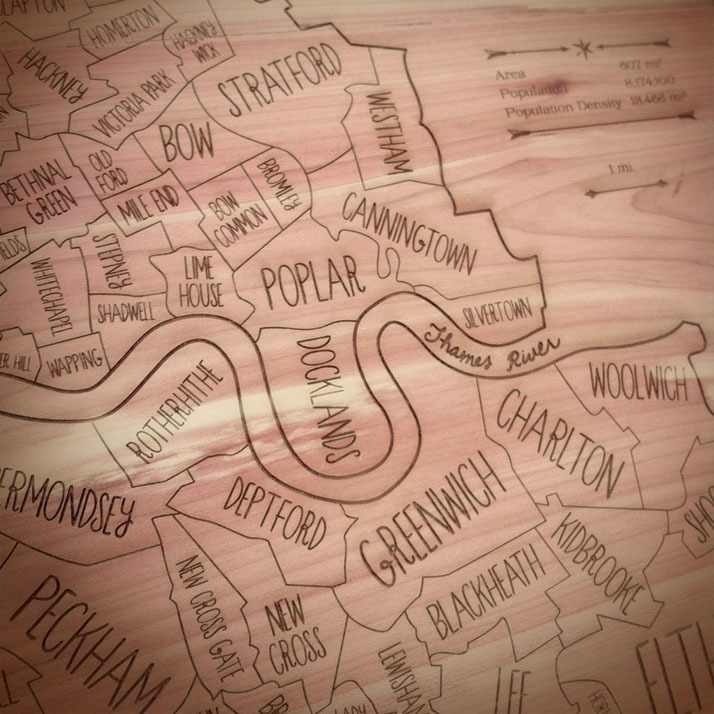 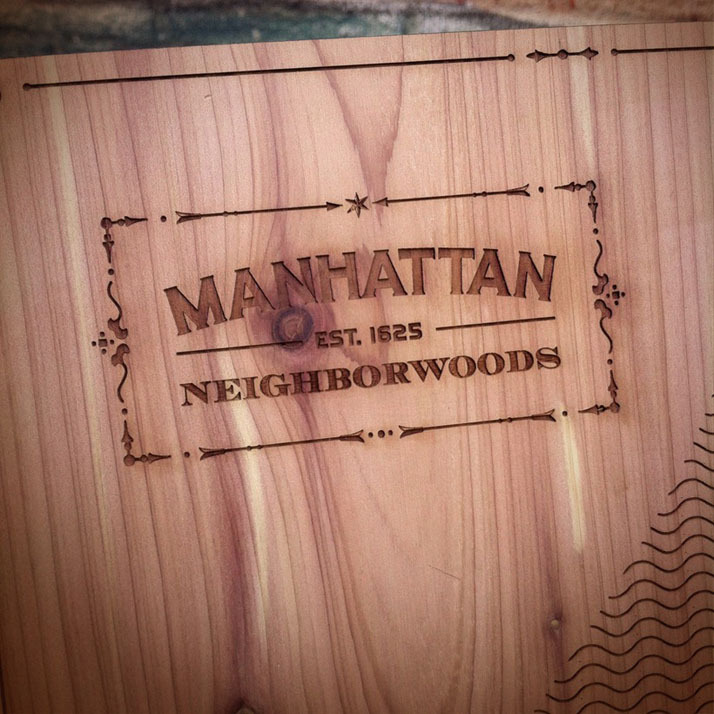 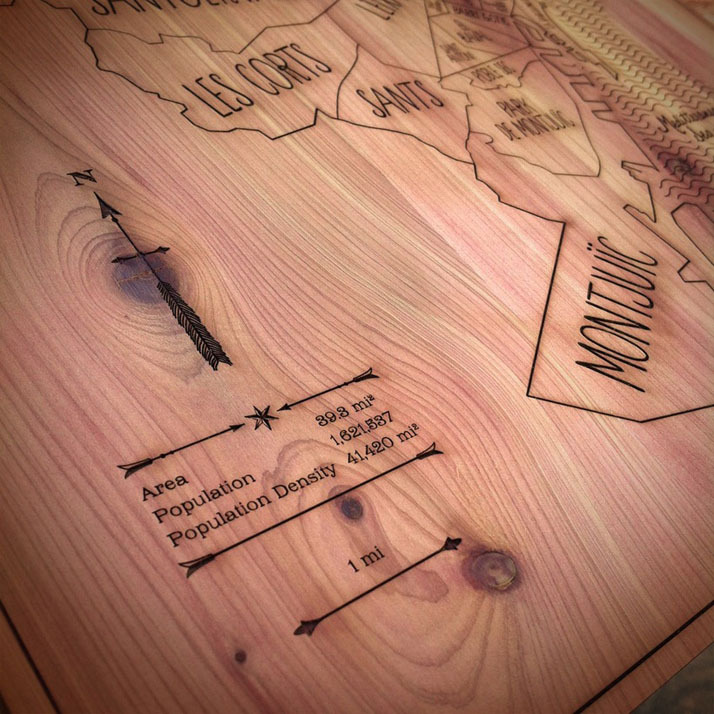 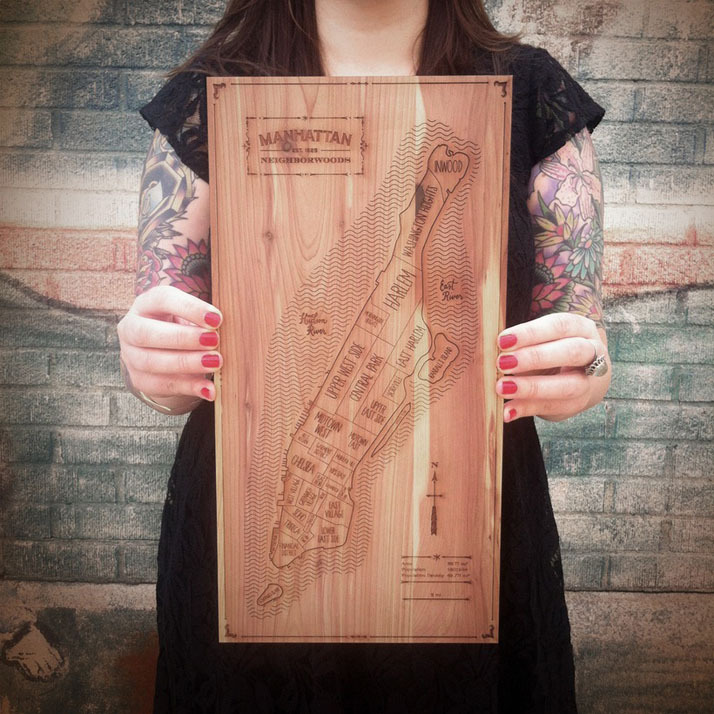 Hand-drawn and laser engraved into unfinished aromatic cedar, Neighborwoods capture the story of your city, including all of its neighborhoods and key statistics. 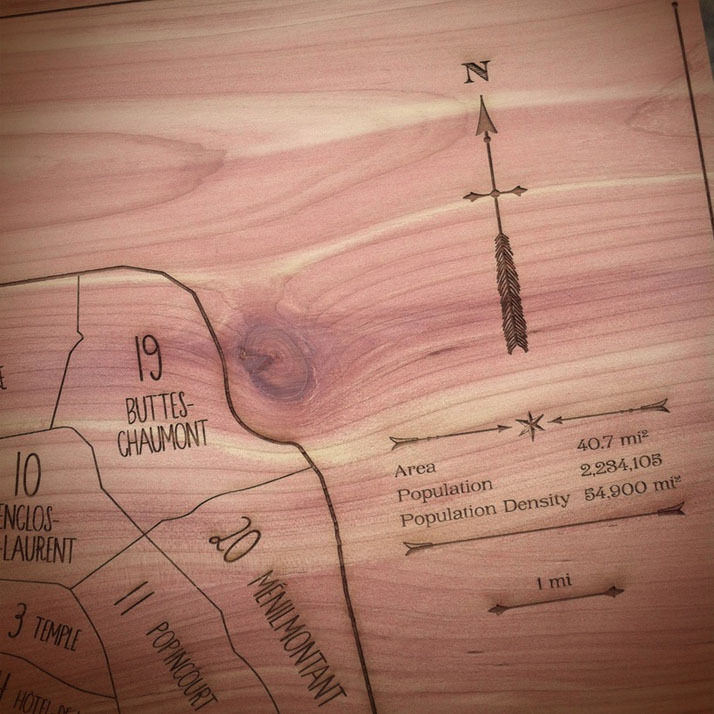 The cedar's natural wood grain characteristics set off the engraved typography and hand-drawn details. 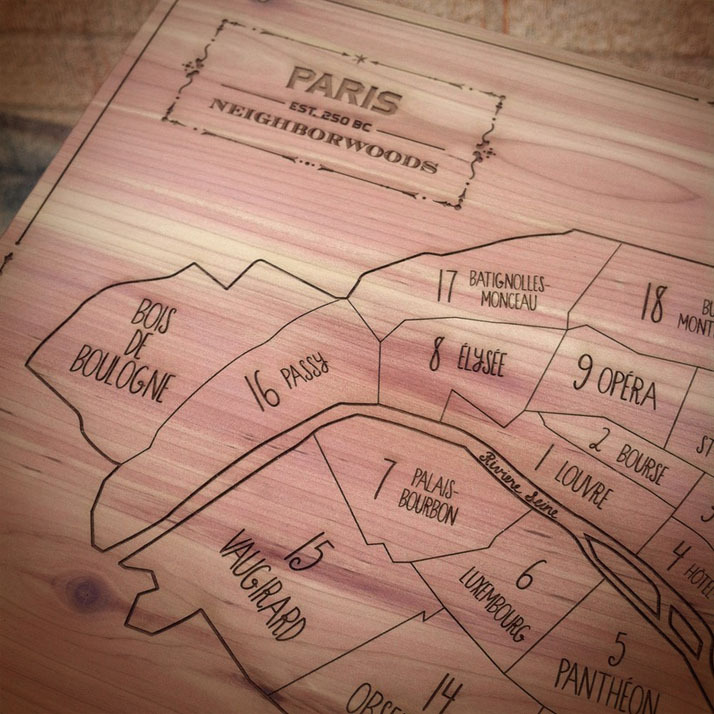 Every map is unique, just like your treasured stories from your neighborhood. 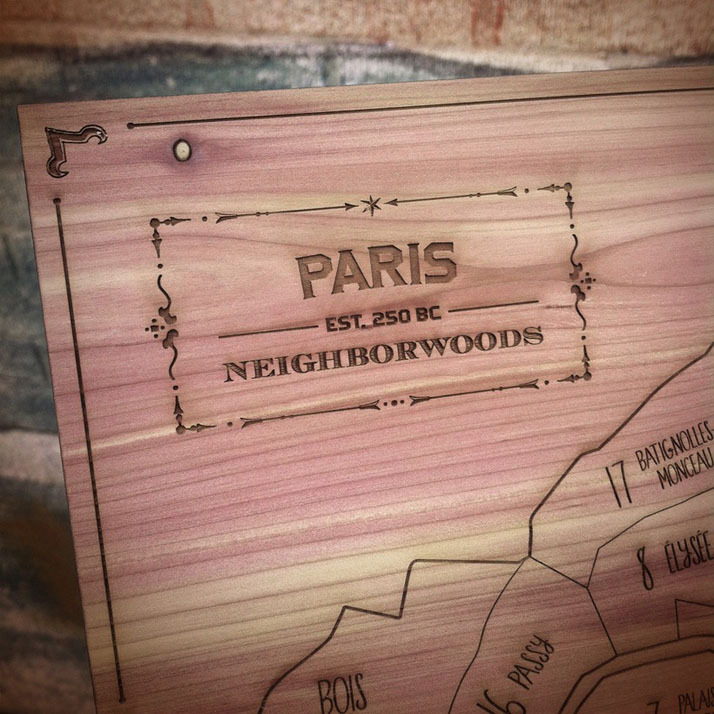 Keep an eye out for more releases in the near future."